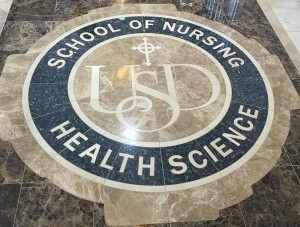 September 2015 - ID Studios, Inc.
Construction is complete on the University of San Diego‘s Hahn School of Nursing and Health Science’s new Betty and Bob Beyster Institute for Nursing Research, Advanced Practice, and Simulation. Although classes started on August 24, the ribbon cutting ceremony was held on September 1. Check out this time lapse video created by DPR Construction taken during construction. Thanks to Matt Pranzo of Mirror Mirror Digital Media for putting together the time lapse video.